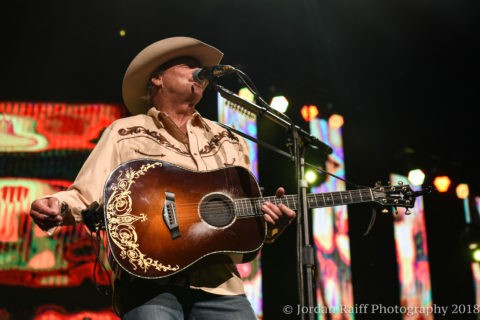 With over 100 million albums sold, over four decades playing to legions of fans, and numerous tours under their belts, Alan Jackson and Lee Ann Womack are not new faces to country music. Their music has become a part of American culture, transcending Country music with great success that few are ever able to truly achieve. Their show on May 11th at MidFlorida Credit Union Amphitheater, left no doubt why. 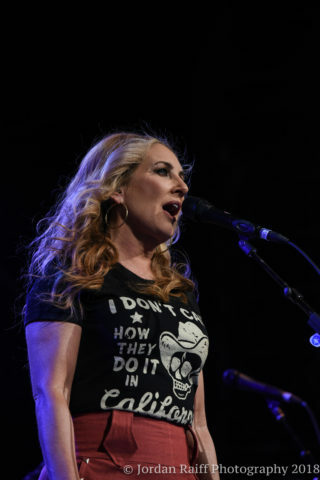 Walking out not too long before the sun began to set, Lee Ann Womack took the stage as the humidity of the typical sunny Tampa evening began to go down. Her career has crossed several sub genres of country music seamlessly, and is incredibly fitting for the crowd filing in. With her buttery soft, yet powerful voice, captivating eyes, and stellar reputation for an amazing performance, she was able to command solid attention from the moment she stepped on stage. As the crowd began to build, so did her intensity and the range of the vocals in her songs. 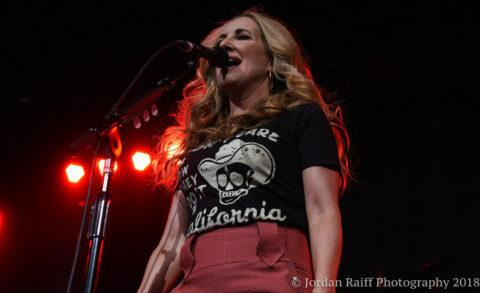 With a diverse catalog to choose from, Lee Ann was able to pull out a great variety of songs from across her discography to leave everyone in attendance smilingand satisfied. Closing her main set with her biggest hit to date “I Hope You Dance”, nearly every person in attendance was belting it out with her. While this is not an unusual site to witness, with Mother’s Day being just around the corner, you could see how deeply this song has touched people. Kids were being serenated by their mothers, and you could see a lot of people wiping away a quick tear. For many this was a song that their mother had shared with them, or that simply reminded them of the words their mothers had told them. As one lady sitting next to me was wiping away a tear she stated “This song was what was on the radio when I left the hospital after my mother passed away. I can’t help but think of her and shed a tear any time I hear it. 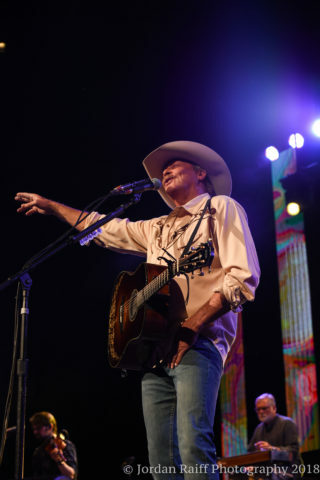 Alan Jackson has been one of the biggest success stories out of country music since the 1980’s. Growing up in rural New York in the late 80’s, country music was the only radio station that was predictable where I was raised. Alan Jackson has been a legend there for years, and I knew almost every word to his music as a kid. Being here took me back to those dirt roads, bonfires up at the Mapes pond, and many other memories I don’t reminisce on enough. It’s amazing to see how one of his biggest hits ‘Chattahoochee’ is a song that anyone from a rural town can really relate to. 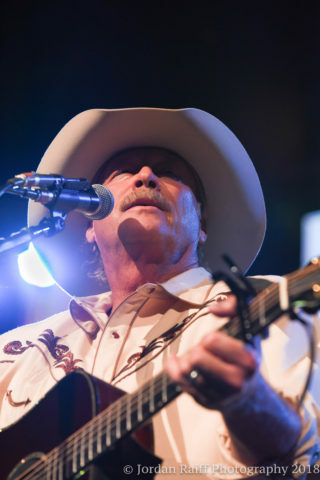 With 66 songs that have made the Billboard charts over the years, an introduction to the Country Music Hall of Fame (among others), and the respect from every name in the country music industry, he never has to look far to find his tour partners. Once Alan took the stage as the sun was setting for the night, he walked on stage to one of the loudest receptions I have ever heard. Covering songs from new to old (with over 20 songs for his main set) multiple single song encores, and one of the best bands backing him in country music, this was a terrific set. Jackson interacted with the audience by accepting the flower of a lady in the front row, he also tossed out shirts and guitar pics to the fans and kept the energy up for himself and the fans for over two solid hours. Not many bands put forth a set list that has enough singles to satisfy the casual fan, or someone who grew up on it and left it as an adult, and still appease the most faithful of fans who have purchased every album and have more tickets stubs from the band than they do plates in the cabinet. Alan finds a way to accomplish this. 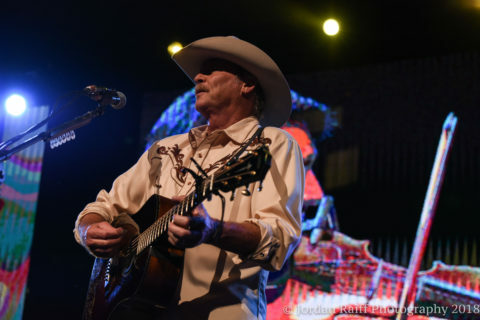 Featuring a very conservative set, that reminded me of what ‘Dusty Wyatt Chandler’ (played by legendary George Strait) asked his Grandmother Ivy about in the movie ‘Pure Country’; “No smoke. No lights. No amplifiers. No big-stage production. Just me and my guitar. Think anybody would buy that?” The simple use of video backing for his singles, minimal lights, and barely any smoke at all, this has all the potential to be one of the best sets of the summer for country music. It gets back to the true roots of country music; connecting to people with songs they can identify with and by making it personal. Lee Ann and Alan will be touring through the rest of the summer and into the fall. If you consider yourself a fan of country music, music that transcends all aspects of American music, or just want a great night out for the family and yourself this is the show to see. A Michael Jackson sighting in Lakeland?